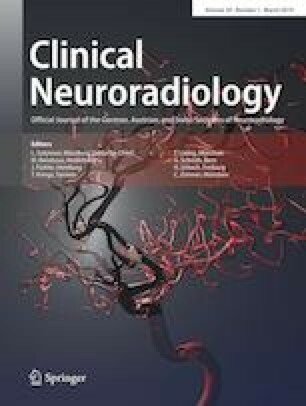 N-butyl cyanoacrylate (NBCA) glue is a valuable liquid embolic agent for the endovascular treatment of brain arteriovenous malformations (BAVM). The use of NBCA carries a risk of embolic agent reflux and distal migration with ensuing possibility of venous drainage compromise. The aim of this technical note is to describe a single center case series of high-flow intranidal fistulas embolized though a dual lumen balloon under local flow-arrest conditions. This article presents a retrospective description of a case series including five NBCA injections through a dual lumen balloon performed by a single operator in three patients with BAVM. Demographic, clinical, imaging and procedure-related data are reported. The three patients presented with ruptured BAVMs. Of the patients, one underwent proximal flow-related ruptured aneurysm coiling before planned BAVM embolization. In the three patients, staged BAVM embolization as a first line treatment was decided. Preliminary embolization of high-flow BAVM fistulas by NBCA using a dual lumen balloon under local flow-arrest conditions was performed and five separate injections were carried out without any complications. No balloon entrapment or rupture was observed. High-flow BAVM fistulas can be treated with NBCA embolization using a dual lumen balloon under local flow-arrest conditions. This work has been previously presented as an oral presentation at the 2018 ABC WIN Meeting in Val d’Isère, France (14–19 January 2018). Conception or design of the work: E. Shotar, F. Clarençon, N.‑A. Sourour; data acquisition: E. Shotar, A. Al Raaisi, N.‑A. Sourour; data analysis: E. Shotar, A. Al Raaisi, F. Clarençon, N.‑A. Sourour; drafting the work: E. Shotar, A. Al Raaisi, F. Clarençon, N.‑A. Sourour; critical revision of the work for important intellectual content: all co-authors; final approval of the version to be published: all co-authors; agreement to be accountable for all aspects of the work in ensuring that questions related to the accuracy or integrity of any part of the work are appropriately investigated and resolved: all co-authors. F. Clarençon: consultant for Truffle Capital, Penumbra, Guerbet and Stryker. N.‑A. Sourour: consultant for Balt. E. Shotar, A. Al Raaisi, S. Lenck, K. Premat, V. Degos and B. Mathon declare that they have no competing interests.